← >Bummer, missed class today! With the nasty weather outside, there was nothing better to do today then paint! I’d found a photo on my computer that I thought was lost – of a stone church converted into a theater from Barmouth, Wales that I’d shot 15 years ago! Only problem was, the sole 16 x 20 inch canvas I had around the house was torn near one corner and I thought unusable. Well… almost. I decided slapping a bit of gesso over sheetrock seam tape would work. The jury’s still out but I’m hoping I can hide the tape, which I cut intentionally small for the front. I also repaired the back of the canvas. I plan to keep this painting forever, so figure I can live with the minor flaw. 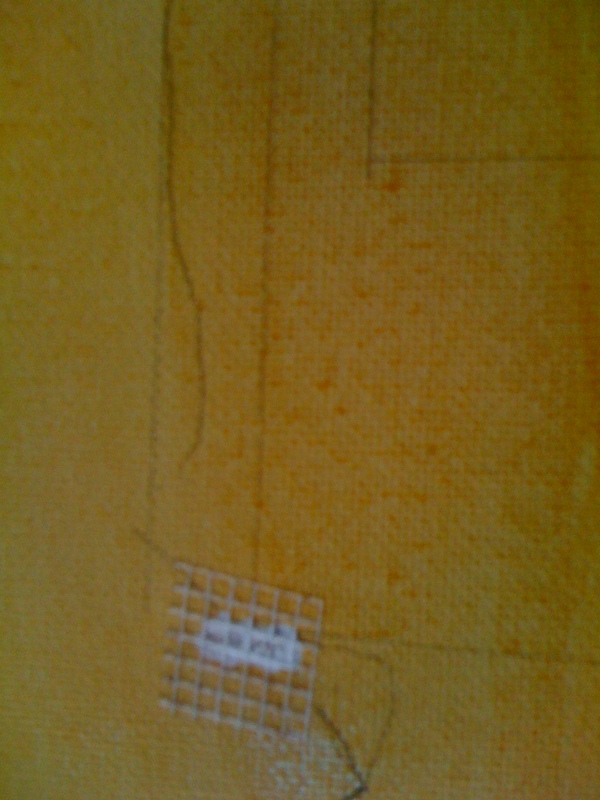 Here’s what it looks like now… Wish me luck and post if you have other ideas for torn canvas repairs. This entry was posted in 16 x 20, torn canvas, wales. Bookmark the permalink.